Origin won’t open on your PC? Don’t worry! You’re not alone. Many Origin users have reported this issue. But the good news is you can fix it. You should be able to fix the problem quite easily using one of the solutions we’ve listed below. Here’s a list of fixes that have resolved this problem for other Origin users. You don’t have to try them all. Just work your way through the list until you find the one that does the trick for you. 1) Close Origin if it is running. Click Origin in the menu bar and then select Exit to close it. 2) On your keyboard, press the Windows logo key and R at the same time to open the Run dialog. Then type %ProgramData% and press Enter. 3) In the pop-up window, double-click the Origin folder to open it. 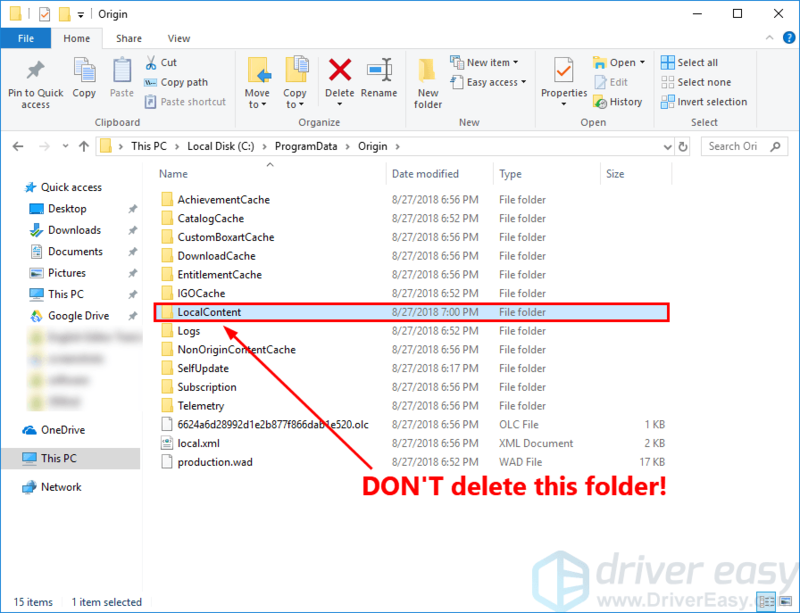 4) Delete all the files and folders in this folder except for the LocalContent folder. 5) On your keyboard, press the Windows logo key and R at the same time to open the Run dialog. 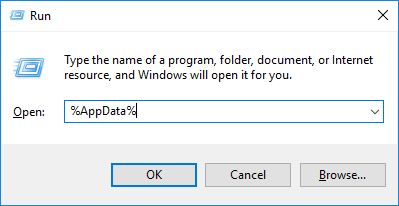 Then type %AppData% and press Enter. 6) In the pop-up window, delete the Origin folder. 7) Click AppData in the address bar. 8) Double-click the Local folder to open it. 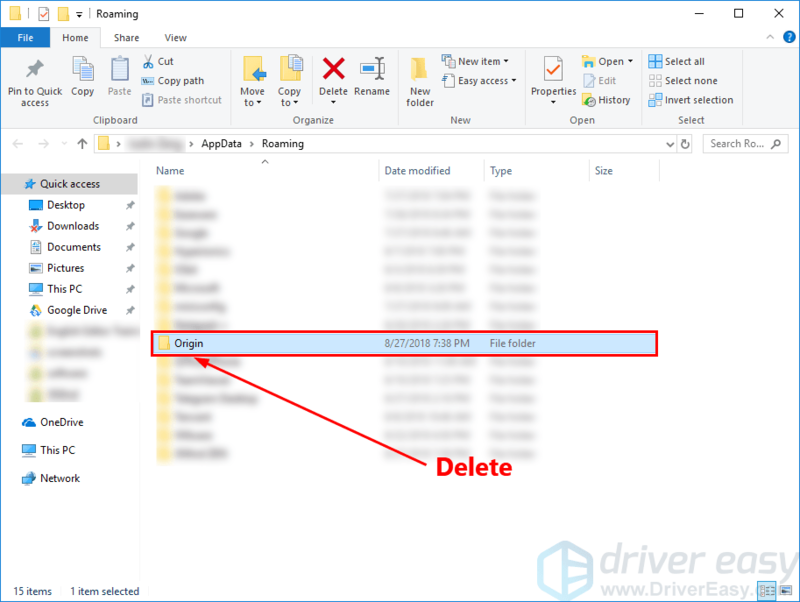 9) Delete the Origin folder in the Local folder. 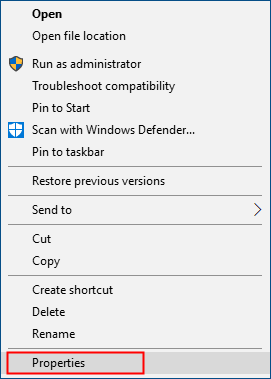 10) Restart your PC and Double-click the shortcut of Origin on your desktop. If Origin opens, you’ve resolved this issue. 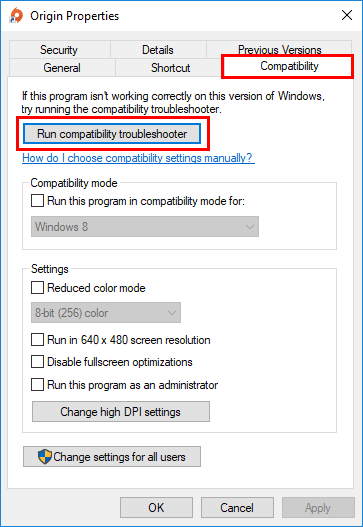 If not, try the next fix below to run the Program Compatibility Troubleshooter. 1) Right-click the shortcut to Origin on your desktop and select Properties. 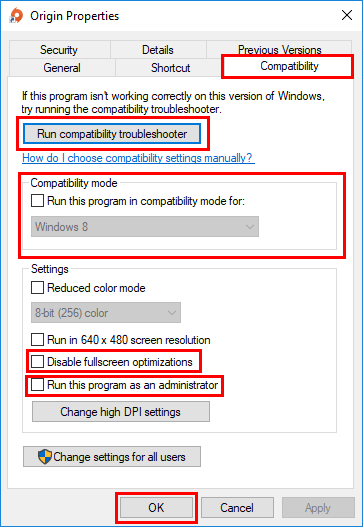 3) Click Try recommended settings to test-run program using recommended compatibility settings. 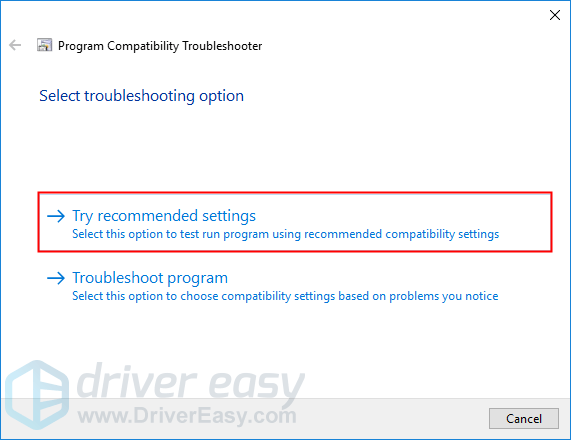 Follow the on-screen instructions to see whether this troubleshooting option works or not. 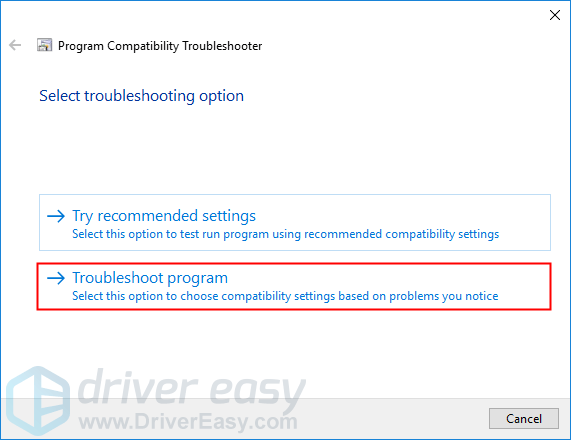 4) If it still doesn’t work, then run the Program Compatibility Troubleshooter again and select the second option to choose compatibility settings based on problems you notice. 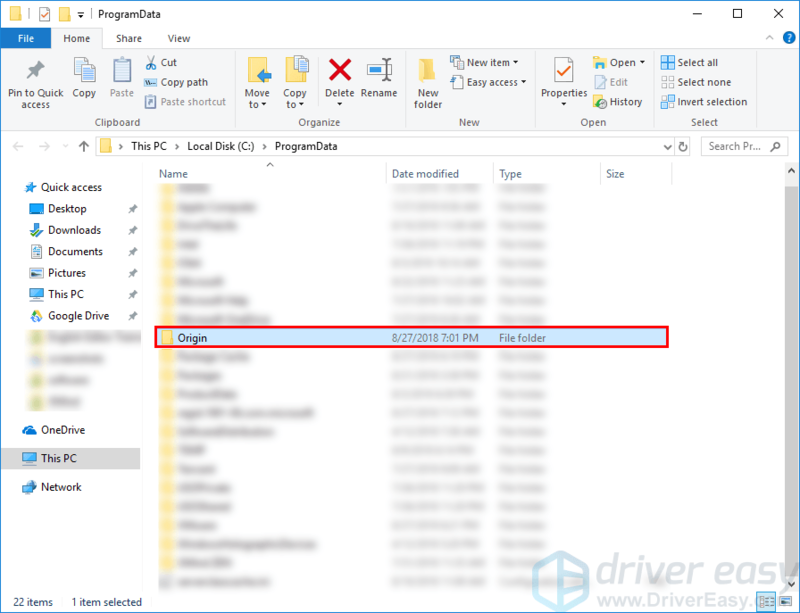 Compatibility mode: If Origin won’t open on your current Windows system, click the drop-down list to select a previous version of Windows system to test-run it. Disable fullscreen optimizations: Some games on Origin are particularly affected by the low FPS issue, and some of them even crash when the player enable fullscreen optimizations. Just disable it to see whether Origin will open or not. Run this program as an administrator: If Origin is not given administrator privileges, it may not run properly. 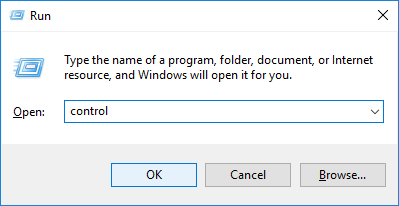 Try this setting to give the program the administrator privileges. If this fix works, your Origin will open when you double-click its shortcut. If not, try the next fix, below. This issue is probably caused by your outdated graphics driver. Updating your graphics driver to the latest version can make your game run smoother and prevents many issues or errors. 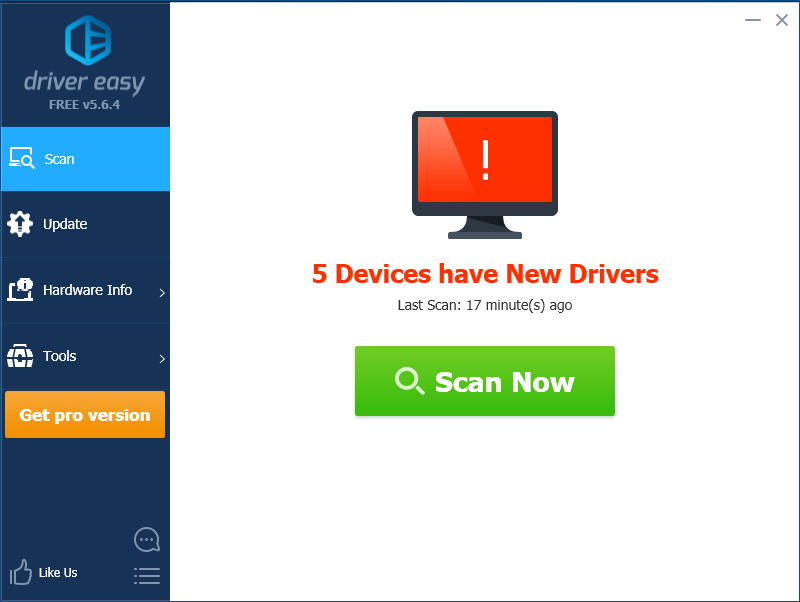 If you don’t have the time, patience or skills to update your driver manually, you can do it automatically with Driver Easy. 3) Click Update next to your graphics card to automatically download the correct version of its driver, then you can install it manually. 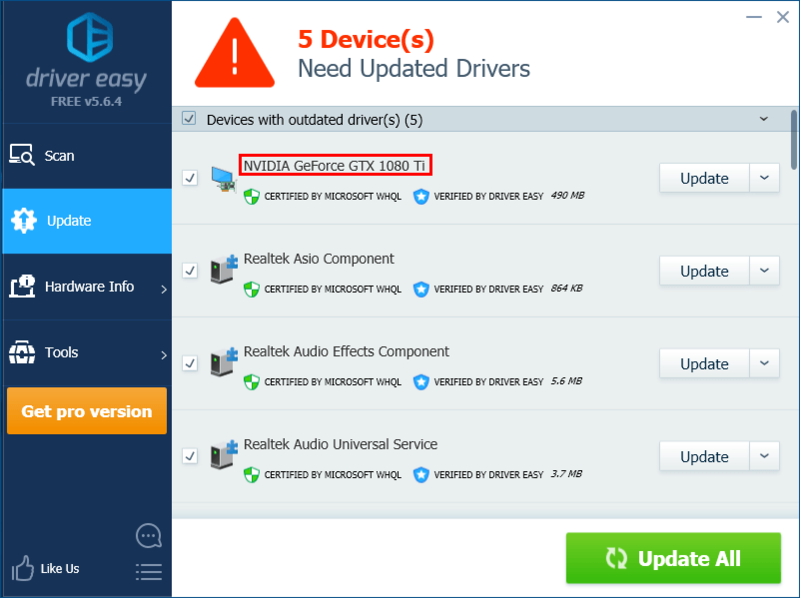 Or click Update All to automatically download and install the correct version of all the drivers that are missing or out of date on your system (This requires the Pro version – you’ll be prompted to upgrade when you click Update All. You get full support and a 30-day money back guarantee). This issue may also be caused by your third-party antivirus application. Since the third-party antivirus application hooks very deep into your system, it may interfere with Origin. 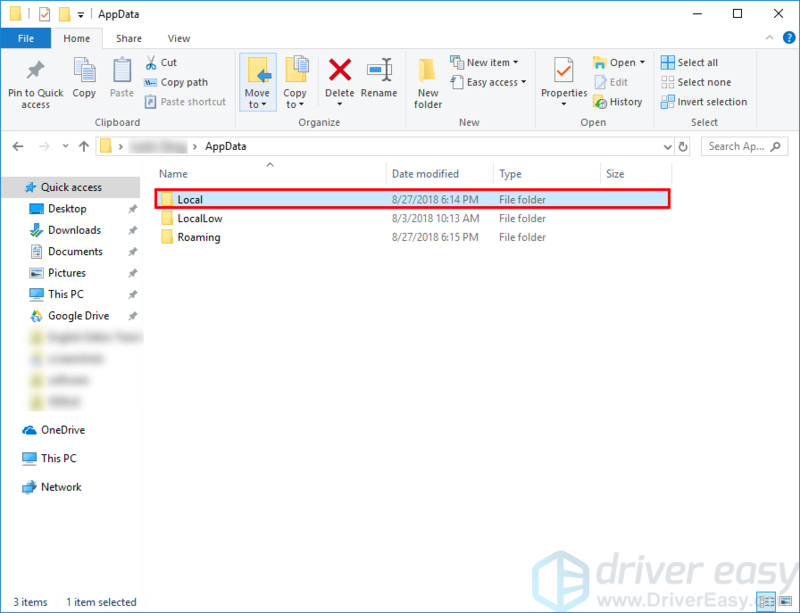 Since Origin consumes a lot of memory and CPU usage when you’re playing a game, many third-party antivirus application may regard it as a potential thread and Origin may not run as expected. You can try adding Origin as an exception to your third-party antivirus application. If this fix still doesn’t work for you, try the next fix below to perform a clean boot. 1) On your keyboard, press the Windows logo key and R at the same time to open the Run Dialog. Type msconfig and press Enter to open the System Configuration window. 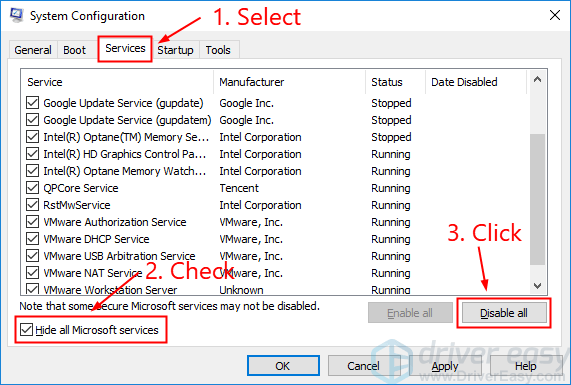 2) Select the Services tab, check Hide all Microsoft services and then click Disable all. 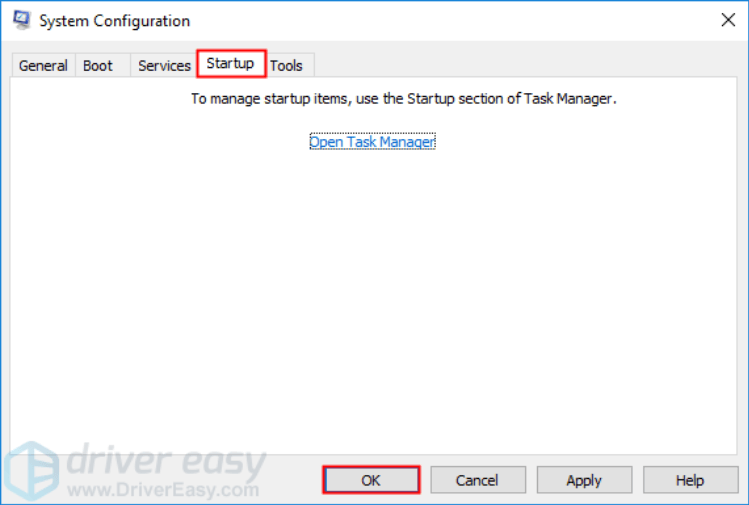 3) Select the Startup tab and click Open Task Manager. 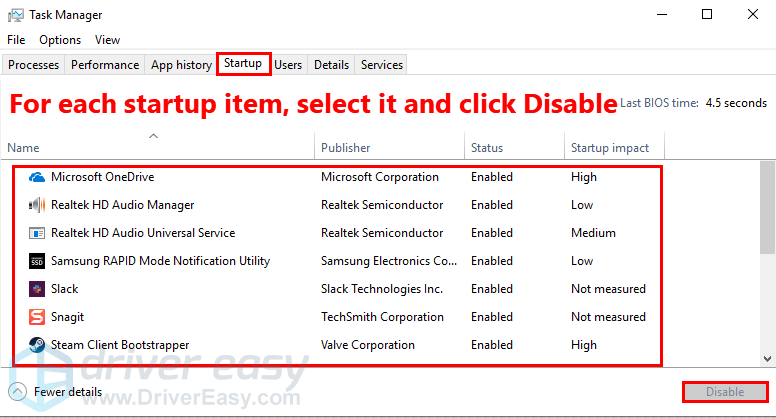 4) On the Startup tab in Task Manager, for each startup item, select the item and then click Disabled. 5) Go back to the System Configuration window and click OK.
6) Click Restart to restart your PC. Run Origin and check whether the problem reappears when your PC restarts. If not, you need to open the System Configuration window again to enable services and applications one by one until you find the problematic software. 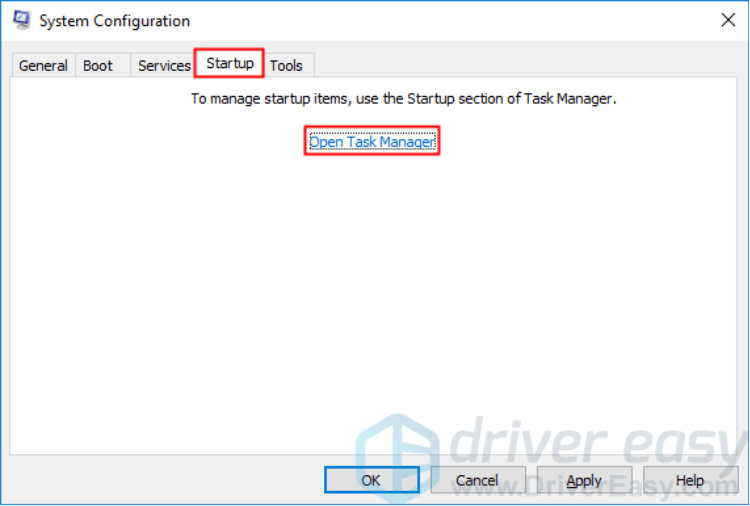 After enabling each service, you need to restart your PC to apply the changes. Once you find out the problematic software, you need to uninstall it in order to resolve this issue. If this fix failed to resolve this problem, try the next fix, below. 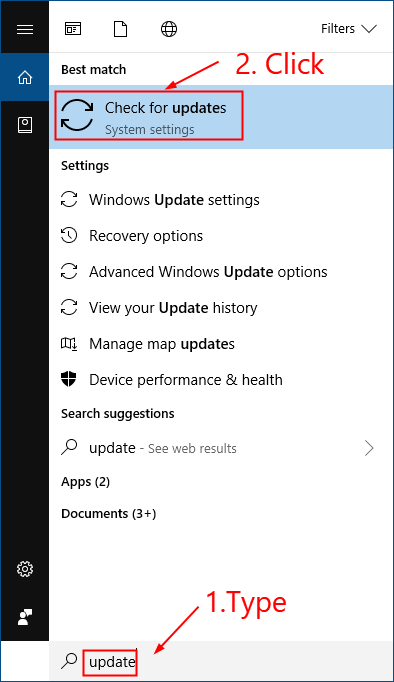 2) Click Check for updates to update your Windows system. 3) Restart your PC when the Windows update process completed. 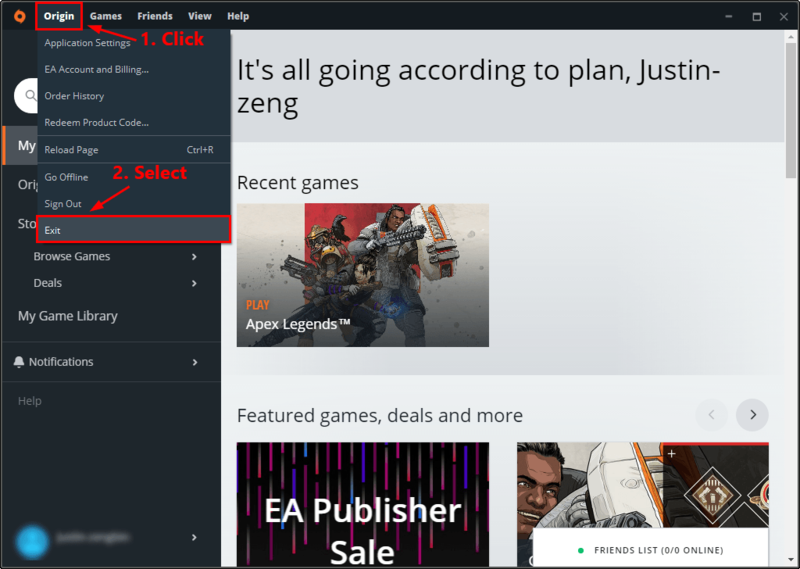 If this fix works, Origin will open when you double-click its shortcut on the desktop. If not, try the next fix to reinstall Origin. If all the fixes above still don’t work, it’s time to uninstall Origin and reinstall it. 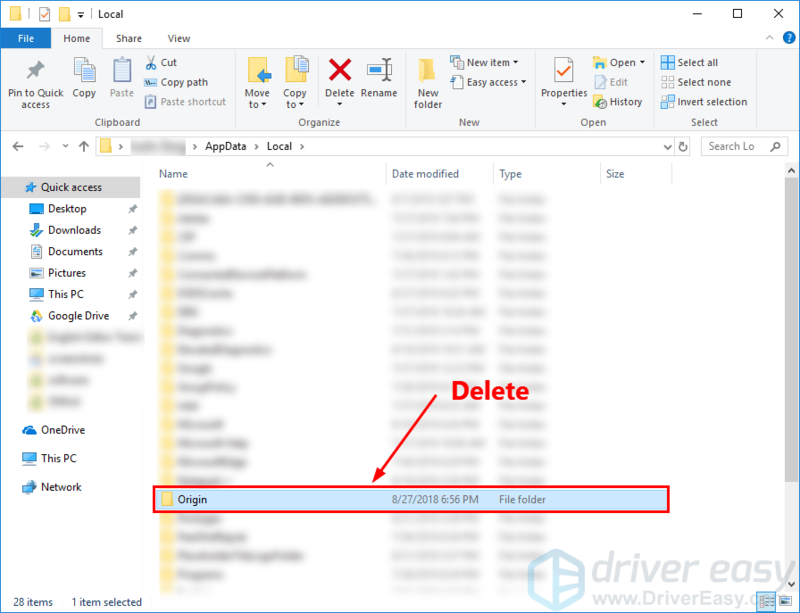 This process will remove Origin and any installed game content from your machine. i. On your keyboard, press the Windows logo key and R at the same time to open the Run dialog. Then type control and press Enter to open Control Panel. ii. View Control Panel by Category, and then click Uninstall a program. iii. Double-click Origin to uninstall it. iv. Restart your Windows system when it is completed. 2) Download the latest version of Origin and then double-click the file you downloaded to reinstall it. Hopefully this post helped you resolve this issue. If you have any questions or suggestion, you’re more than welcome to leave us a comment below.